I would never go for disc break in small tyre size. Q. How is the suspension of this scooty? Yes the suspension is good✌🏻. Q. Confused between Access 125 for the comfort, MT15 for the looks and Bajaj bikes for the solid reliability. Any suggestions ? You please first decide whether you want to purchase a sports bike or scooter ? Then further choice can be made accordingly. Q. Which one is better for a long drive and good mileage combination when compared with Activa 5g & Suzuki Access 125 & TVS Jupiter?????? Q. 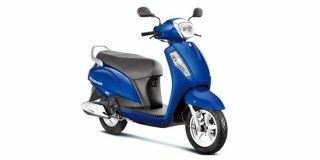 Which is better, Honda Activa 5G or Suzuki Access 125 in terms of mileage, performance, maintenance and service? Q. Is Access 125 valuable for money and in durability than Activa 5G and what about the resale value? Access 125 is more powerful and sturdy than its competitors.